Distribution and logistics require a fast-paced yet streamlined operation to meet deliveries on-time and maximise profitability. Installing S22 panel PC is advantageous in TMS operations because not only does it streamlines operations, but also its sturdiness guarantees operability 365/24/7. Many benefits are installing a 22” panel PC for TMS which include seamless processes, reduced miscalculations and active monitoring of delivery routes. Distribution and logistics industry entails a fast-paced environment. Tasks and data input should also be on point to ensure an efficient distribution system. Hence, Transportation Management System (TMS) was developed to streamline operations while reducing overall operational costs. However, the working environment of a distribution and logistics industry can pose challenges to computing equipment. Examples of these risks are the presence of hazardous and flammable chemicals, dirt, dust and shock damages. So, using our 22-inch industrial panel PC to integrate into transportation management is advantageous. Moreover, it has an Intel® Core™ i7 processor which allows the device to perform and handle multiple functions while lasting in an extreme environment. Now, what are the capabilities that can ultimately enhance transportation management system? Find out more on this blog on why installing the S22 industrial PCs are the best bet for logistics operations. Storing a wide variety of goods and providing accurate delivery of items are crucial for logistics companies. That is why TMS is incorporated in major critical processes in an entire shipping operation. However, the fulfilment floor has challenging elements that can cause system failures to many computing devices. Fortunately, our 22-inch ruggedised panel computer has IP69K/NEMA4 protection so it can last under exposure to moisture, dirt, extreme temperature, shock and vibration. It has stainless Steel (304) front face/anodised aluminium rear face options. Moreover, it had Intel® DX11™ GFX core and projected capacitance touchscreen option for seamless navigation. Operators can conveniently navigate a software, so it decreases the fulfilment period. This also means that goods can be delivered on time, which is ideal when transporting perishable items. Take a look at Marine Harvest on how industrial computers are optimised in transportation management operations. Marine Harvest is an outstanding seafood company with more than 50 markets worldwide. Delivering and keeping the freshness of the goods are essential to have a streamlined transportation management system. So, how can they optimise their system? Marine Harvest needs to be able to monitor the procurement and transportation process conveniently. Plus, there is a demand to have on-time food delivery because the products are perishable. It is necessary to have a streamlined process so that planning and coordination are easy. 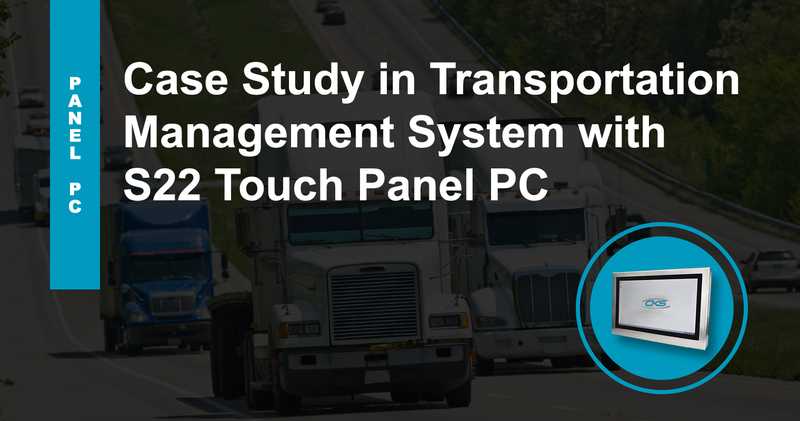 To further enhance transportation management, they work with industrial-grade PCs like 22” panel PC. Its Intel® Core™ i7-3610QM 2.30Ghz can support programs for transportation management in logistics operations. It has an IP69K rating and a NEMA4 sealing protecting the device from any intrusions that can harm the inner components. Moreover, lastly, its 22” display interface and 1920×1080 resolution allow maximum readability for optimum navigation. Customers indeed demand high-quality and on-time delivery of goods. By utilising a 22-inch industrial computer, transportation management operations can have a seamless process. Its VESA-compliant mounting options, cased or bezel, owners can easily install this device in many areas of the fulfilment floor. It is also thin client terminal-ready for a secured documentation and information sharing between authorised personnel. This creates an efficient and seamless communication and coordination amongst operators which is crucial in distribution operation. Indeed, choosing our 22-inch industrial panel computing device is a smart move to optimise transportation management. Its many capabilities can withstand extreme working conditions in logistics operations. Get more information about our device by downloading its FREE datasheet or contact us at (+44) 014 3874 7111.